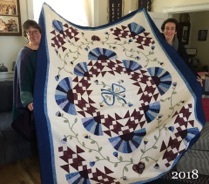 This beautiful quilt was donated for the raffle to raise money for the projects we do. 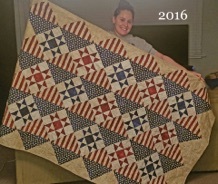 It is suitable for use as a large wall hanging or bed quilt. There are more than 1000 pieces in the top alone! The drawing will be held on Veteran’s Day 2019. Proceeds will be used to support the work of Joshua’s Hands. 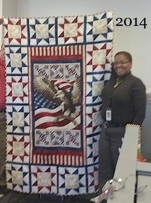 Our most recent venture has been to make quilts for wounded warriors - we prefer to call them our Valiant Warriors. 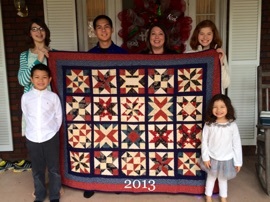 Since January 2011, we have made 1800+ quilts and shipped them to Germany and Afghanistan for our troops. 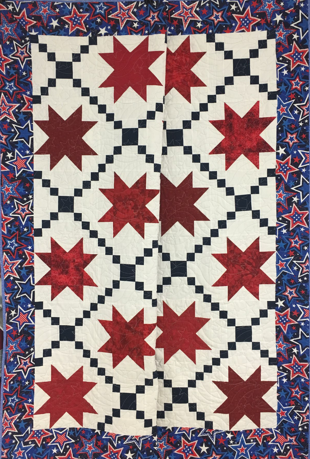 Valiant Warrior Quilting Events are held in Purcellville (VA) January and June. 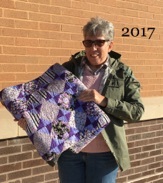 They are open to people of all ages and abilities or inabilities:-) This project was voted the Outstanding Volunteer Project of the Year (2013) by Volunteer Loudoun. Thanks in advance for helping to meet our needs and making the work we do possible.